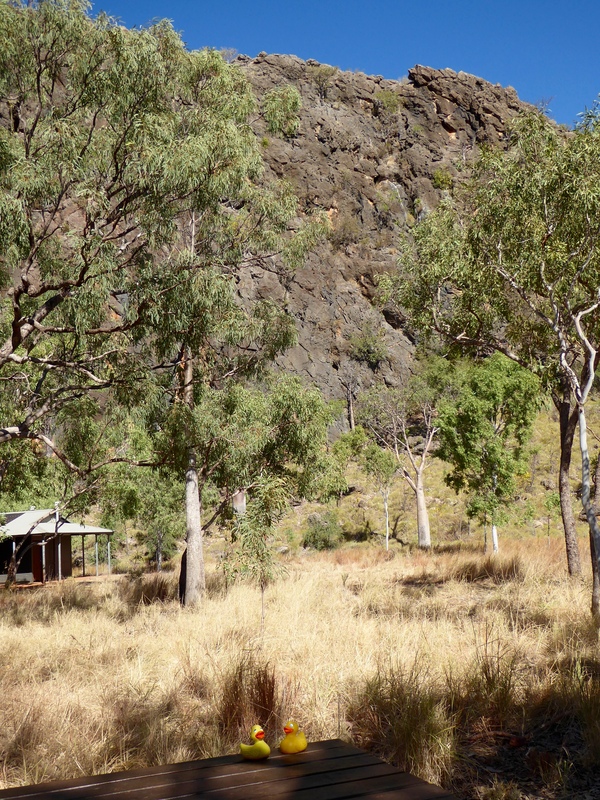 We leave our Safari Tent, driving the 115 kilometers from Fitzroy Crossing, to Tunnel Creek National Park. 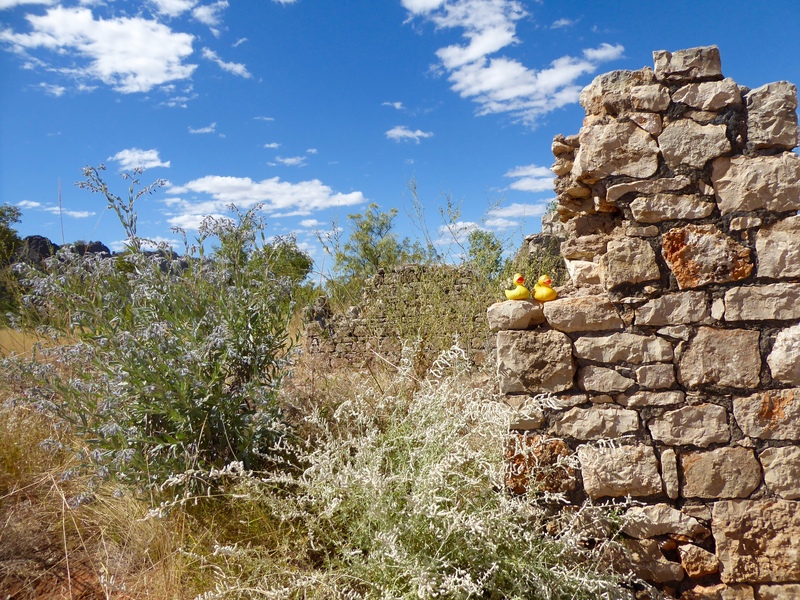 Along the way, we admire these rocks. The horses are nice, also. 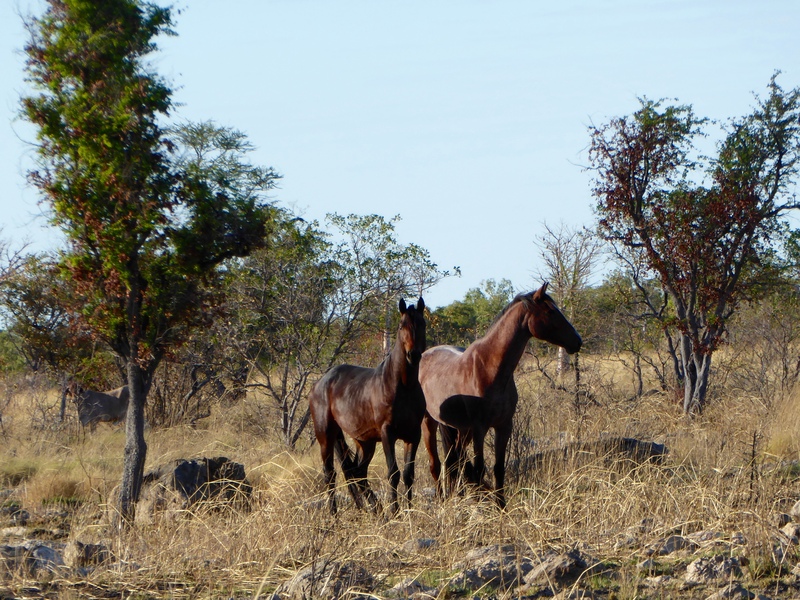 We must remember that this area around Fitzroy Crossing is some of the best pasture land in Australia. We arrive at Tunnel Creek National Park. We are still in the area that was once covered by tropical sea and the Devonian Reef. 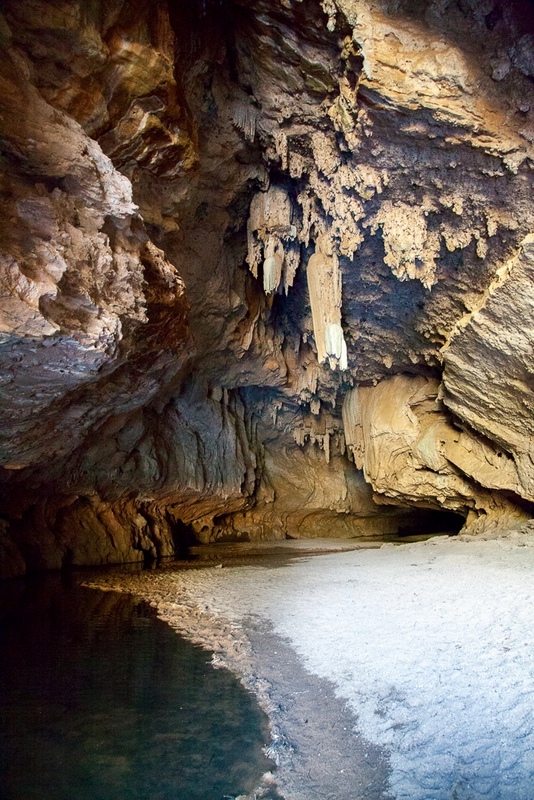 Tunnel Creek is one of the three national parks in the 350 million year old Devonian Reef. 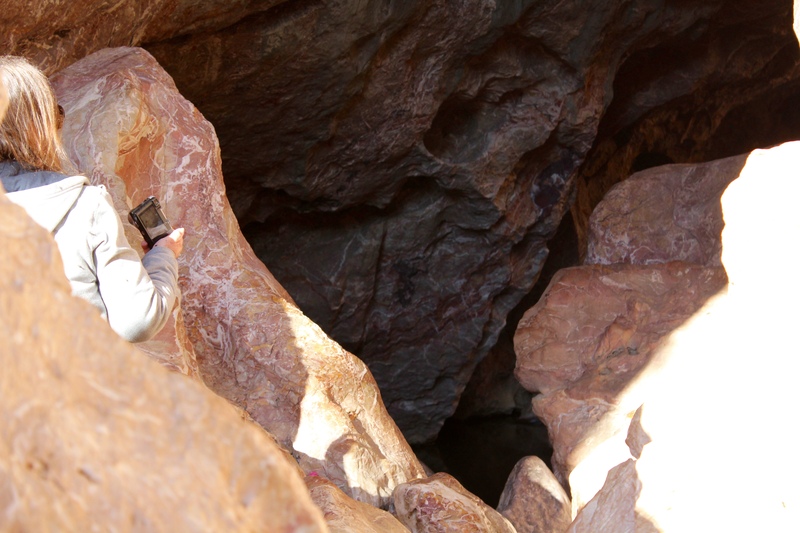 We are in Western Australia’s oldest cave system. To enter the tunnel, a torch, or flashlight, is needed. You will also get wet, so appropriate shoes are encouraged. We are near the entrance to the tunnel. 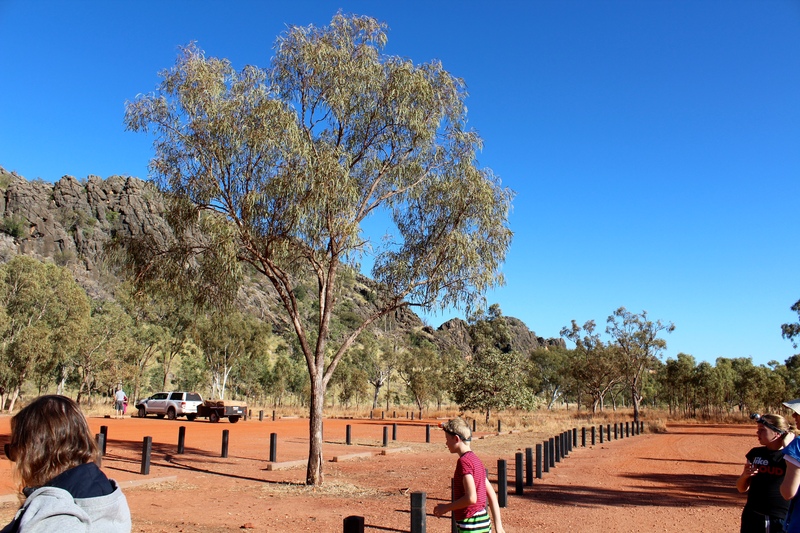 Jandamarra, an Aboriginal leader, died here. When Jandamarra was a boy, he was arrested for spearing a settler’s sheep. He did not learn all the rules of his Bunuba people, did some things wrong and was shunned by the tribe. He worked for the police as an aboriginal tracker. He and his police friend, Richardson, hunted and found the aboriginals. They found Jandamarra’s tribe. Jandamarra realized his loyalty to his people and killed Richardson. He led the Bunuba people in raids against the settlers for about 3 years. 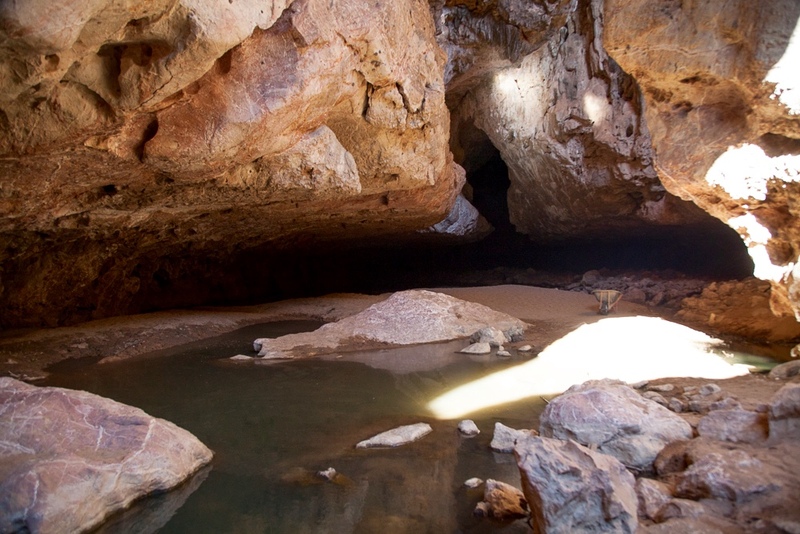 Jandamarra was later found by the police and killed near here, in 1897, by the entrance to the tunnel. Walking inside the dark tunnel, you will come to this pool. The tunnel is also known for these impressive stalactites. 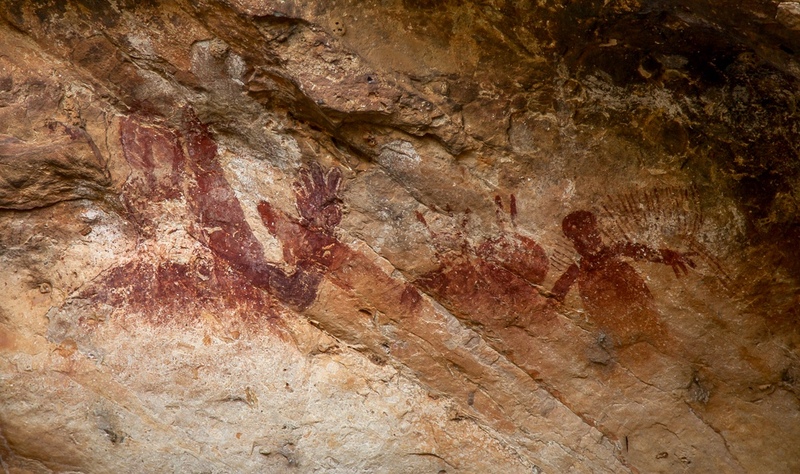 Near the exit of the tunnel, be sure to notice this aboriginal art carving. The only way back to the bus is to return through the 750 meter tunnel, with your torch or flashlight. 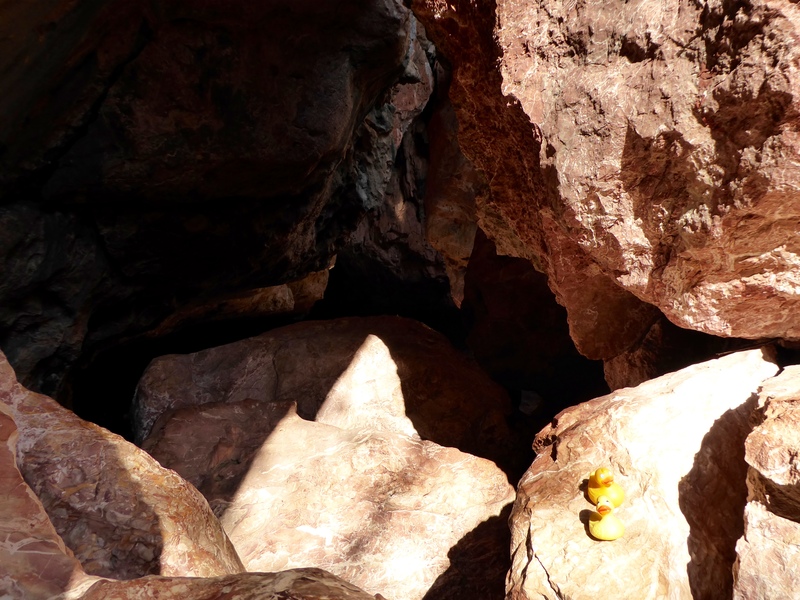 Outside the tunnel, there are hiking opportunities. We loved these noisy white birds. 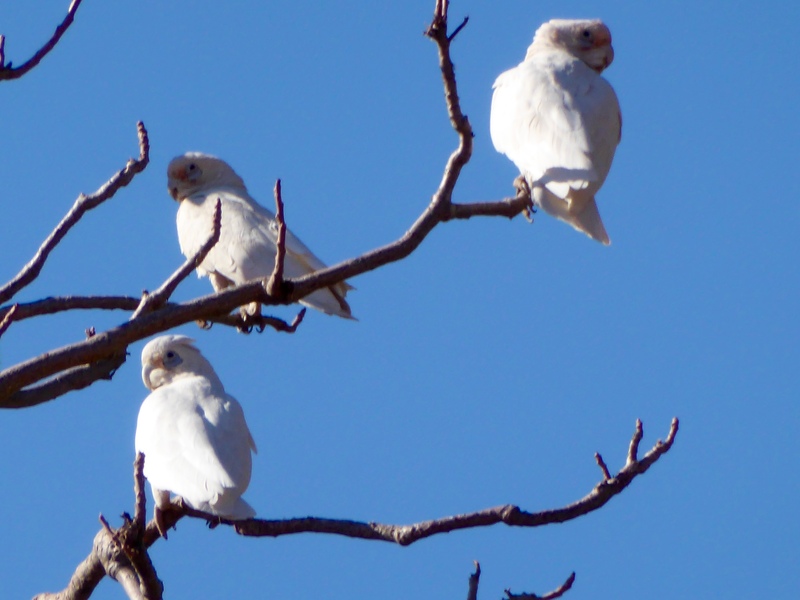 They are corellas, a relative of the cockatoo. The limestone cliffs are magnificent. 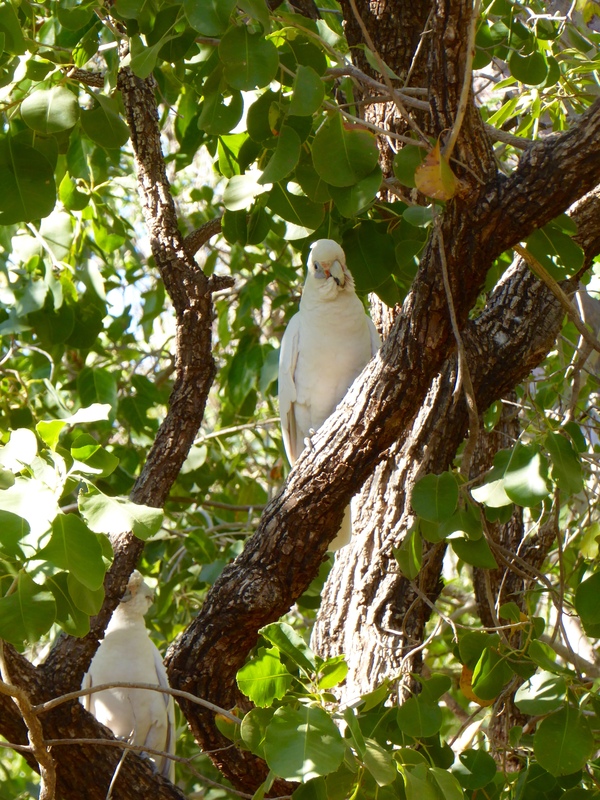 Looking around, several of these beautiful and loud white birds, corellas, were watching us. 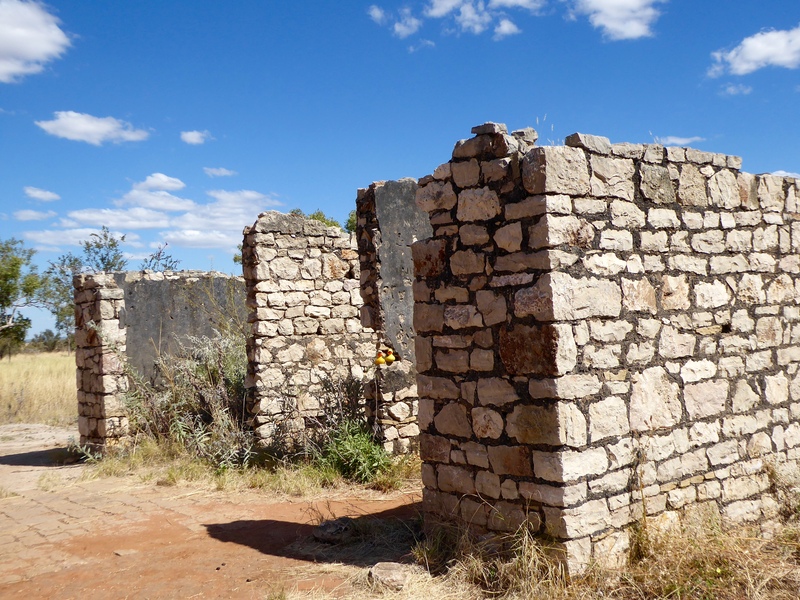 Leaving the tunnel area, we stopped at the Lilliwooloora Police Stations ruins. 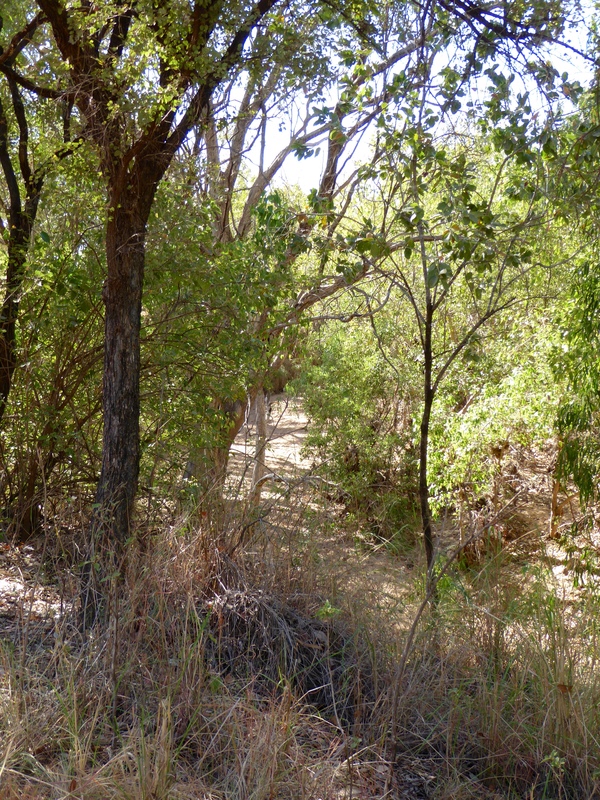 This is where Jandamarra shot and killed his police friend, Richardson. We think you would love to see this area and experience a walk through the tunnel. 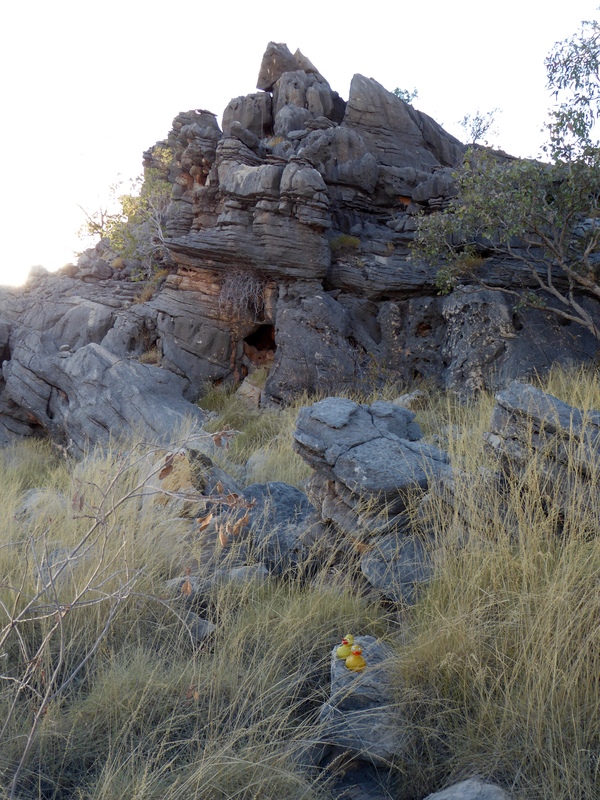 This entry was posted in Australia, Western Australia and tagged aboriginal art, Colorado Traveling Ducks, Devonian Reef, Jandamarra, The Kimberley, Western Australia. Bookmark the permalink.